To complete our analysis of October new car registrations, we wanted to take a closer look at one of the markets outside the well-known Central European region. Our choice fell to a country in the far north: it’s Iceland and although it is a small market it’s certainly an interesting one. In 2016 and 2017 the volume of new passenger cars was really on the rise with remarkable growth rates of + 36.8% and + 24.3% respectively. 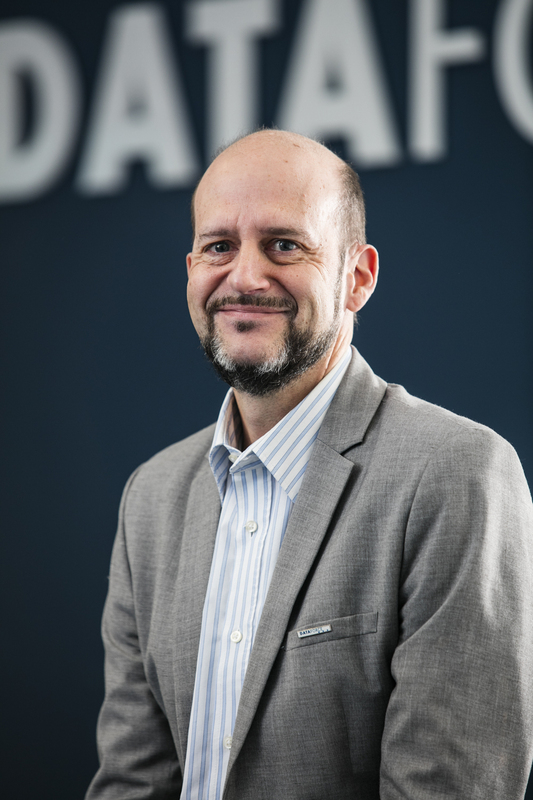 This year though the situation has changed: with close to 20,000 registrations in the first ten months the market is down by 15.8%. The strongest decrease could be seen for the Short-Term Rentals with – 26.1% but this segment is still huge with a share of 30% (in Europe only Lithuania has a higher share for rent-a-cars). The declines for both Dealerships/Manufacturer registrations and the private sector were similar (− 17.0% and − 15.5% respectively) but True Fleets continued to perform really well with + 10.5%. 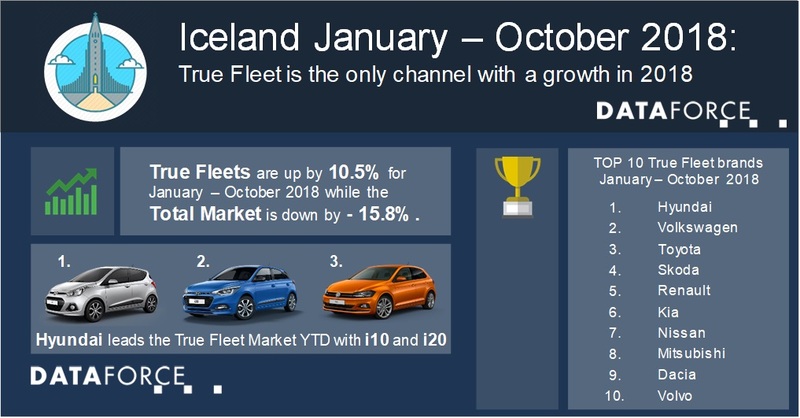 Who are the big players in the True Fleet Market in Iceland? Thanks to extraordinary strong results in April and May Hyundai is in the lead in 2018 year-to-date. The i10 and i20 were by far Hyundai’s most popular models and accounted for almost 78% of their registrations on companies. Volkswagen was able to jump from 6th position into rank number two with an impressive + 68.0% which can be mainly attributed to the Polo which ranks second in the Small Car segment. Skoda ranked fourth behind Toyota and increased its volume in fleets by exactly one (!) unit. Renault, Kia and Nissan all had to suffer losses compared to January-October 2017 while Mitsubishi (8th, + 31.7%) was in good shape thanks to the Outlander which grew by a rate of 38.9% YTD. The top 10 ranking was completed by Dacia (despite a drop of 15.4%) and Volvo (+ 16.7%). Ford in 11th position pushed its registrations by no less than 55.0% and missed the top 10 by only two registrations. The popularity of Mini and Small Cars in Spring limited the ongoing growth of the SUV segment but in September and October the Offroaders were back at the top. Interesting to see that the Japanese manufacturers played an especially significant role here with five models in the top 6 (only the Dacia Duster on rank number two kept Europe in the top 6 game). Number one was the Mitsubishi Outlander PHEV which leads to a short look at the development of fuel types. As in many other countries there was an obvious shift from Diesel to Petrol, but the share of Hybrids also increased and has now reached 13.6% which is the highest value across Europe behind Norway and Sweden. But Hybrid’s share in fleet was still significantly lower than in the Private Market where its share rose to 28.3% which is not too far behind Petrol (33.5%) and Diesel (31.8%). Full EVs achieved a share of 5.3% in the Private Market and 3.8% in fleets which is clearly lower than in January-October 2017 (6.7%). The ranking of Electric Vehicles was led by the Nissan Leaf followed by Renault Zoe and the E-Golf from Volkswagen.